UPDATE June 25, 2008: The Bangor Daily News reports that A Federal Court judge has sentenced Mr. Mackle to time already served in jail (116 days), two years of supervised release, and ordered him to pay $20,030 restitution to Delta Air Lines. In addition, he is being deported, and is forbidden to re-enter the U.S. without specific permission from immigration officials. Several days ago, a passenger attempted to open a door on a Frontier Airlines Airbus during flight, and had to be restrained by flight attendants, with assistance from other passengers. The incident happened on Frontier Flight 514, en route from Denver to New York-La Guardia (LGA), early on the morning of August 25, 2007. The man was unsuccessful in his attempt, and the plane landed safely with no reported injuries to the five crew members or 127 other passengers. On arrival at LGA, the disruptive passenger was taken into custody by Port Authority police. According to news reports, the incident happened less than an hour before the aircraft was scheduled to land at LGA. 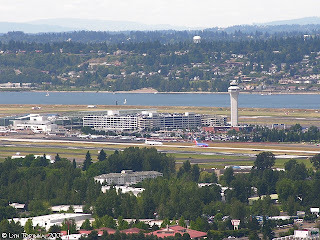 A passenger who had been sitting near the unruly man said that the man had been acting strangely throughout the flight, bouncing up and down in his seat and kicking the seat in front of him. He struggled to escape after he was restrained with duct tape and a seatbelt extension. [Passenger Bobby] Vigil said his rowmate left his seat to go to the bathroom in the front of the plane and briefly tried to open the cockpit door. The man, whom he described as Asian and about 20, then returned to his seat, only to get up 15 seconds later, go to the back of the plane and attempt to open the cabin door. "I heard the flight attendant say, 'Help me!'" Vigil said. A struggle broke out, and Vigil and two other male passengers rushed over to help the attendant restrain the passenger. "We taped him up in an 'X' pattern," said Vigil. "He wouldn't stay still or cooperate." The man, whose name was not released, attempted to bite the tape off his hands and feet. Extension belts were used to keep him in place as the plane prepared to land, Vigil said. A story about the incident in the New York Post described the man as 35 years old, and mentioned that he had been taken to Elmhurst General Hospital in Queens for evaluation. A woman accused of repeatedly hitting her children during a Frontier Airlines flight between San Francisco and Denver last week has been indicted by a federal court. Tamera Jo Freeman, 38, was indicted on two counts of assault on a child under 16 and one count of interfering with a flight attendant. According to her arrest affidavit, witnesses said Freeman was slapping and punching the children on their legs, shoulders and knees and that the children were crying and cowering on the floor. She was using profane language, appeared intoxicated and had been drinking heavily on the flight, witnesses said. When passengers alerted the flight attendant, the attendant intervened and Freeman told her to "mind her own business and provide her another alcoholic beverage," according to the affidavit. When she was denied more alcohol, Freeman allegedly threw a drink on the floor and confronted the flight attendant in a common area. The affidavit said Freeman became verbally abusive toward the flight attendant and the flight attendant had to took a defensive stance. Freeman went back to her seat but the attendant requested that a corrections officer who was a passenger on the plane sit next to Freeman. The attendant then grabbed duct tape and had to stand next to Freeman for the remainder of the flight to prevent her from causing further problems, according to the affidavit. According to witness reports, Freeman's abusive behavior toward her children was evident even before they boarded the flight. They said that Freeman appeared to be intoxicated and violent towards her children while still in the gate area at the departure station. Freeman reportedly told investigators that she had slapped her children because they were fighting over a window shade and because they had spilled her drink. She denied throwing a drink, saying she had set it down on the floor on the aisle, but she did admit that she "lost it" during the incident. According to press reports, Freeman's children have been placed in the custody of family members in California. The judge has ordered that Freeman herself remain in custody at a jail in Jefferson County, Colorado. She faces a penalty of up to 20 years in prison and a $250,000 fine for the interference charge, and up to one year in prison and a $100,000 fine for each count of assault. A woman passenger allegedly assaulted several passengers and a flight attendant yesterday on AirTran Flight 904 while it was en route from Atlanta to Newport News with 116 passengers and a crew of five. TV station WAVY identifies the alleged assailant as Florida resident Valjean Marguriet, and reports that she was indicted earlier today by a federal grand jury on one count of interference with a flight attendant, a felony, and two counts of misdemeanor assault. According to court documents, during the flight, Marguriet assaulted a fellow passenger by grabbing and shaking her arm. Marguriet also struck a flight attendant in his face and interfered with his duties. WAVY quoted Marsha Johnson, a passenger who had been sitting next to Ms. Marguriet on the plane. She says the woman was perfectly fine and friendly, at first, but a few gin an tonics and the woman began to change. "I could see the alcohol getting to her. As we talked, the mood changed," Johnson recalls it changed for the worse. "She just all of a sudden went off the handle," and Johnson it got worse when the lady started yelling, "well she called me a man. You're a man, You're a man!" Johnson says the woman shouted, just before she hit her several times. "She grabbed my arm," commented Johnson. Flight attendants rushed to help Johnson and others who were hit by the woman. "They tried to talk to the lady, she would not be subdued, so the attendants restrained her," said passenger Donna Hypse. She says the woman's behavior made everyone very uncomfortable and even frightened some passengers, but the flight attendants had the situation under control. "they were outstanding. They controlled the situation. we never felt in danger," said Hypse. The unruly passenger was arrested when the flight arrived at Newport News. If convicted, Marguriet could be sentenced to a maximum of 20 years in prison and a $250,000 fine for the felony interference charge, as well as 6 months in prison and fines of $5,000 for each assault charge. A Hawaii-bound Delta Airlines B-767 aircraft was diverted to San Francisco yesterday after a female passenger caused an in-flight commotion. The woman, who had been caught smoking in a lavatory, reportedly suffered an anxiety attack. The passenger was removed from the plane at SFO, and was taken to a hospital for evaluation. FBI agents in San Francisco interviewed the crew and passengers who had witnessed the incident on board Delta Flight 511. The flight, which had originated in Cincinnati, then resumed its journey to Honolulu, landing there about three hours after its scheduled arrival time. News reports offer varying accounts of exactly what transpired. 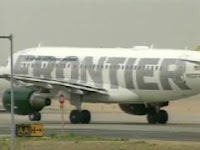 An Associated Press article published on several news websites, including CBS5.com in San Francisco, quoted a passenger on the flight who said she witnessed "a heated confrontation between an irate passenger and the pilot," and that the agitated woman "hit the pilot in the chest after he left the cockpit to check on her." However, a Delta spokeswoman said "the pilot, who had been resting in the cabin before the incident, was not struck." The trouble started about halfway through the nine-hour flight. A woman who was seated in the back of the Delta plane was caught smoking in the restroom. Passengers say she seemed agitated and was yelling. The flight crew moved her to a seat closer to the front of of the plane and tried to calm her down. She appeared to be hyper-ventilating, so they gave her some oxygen and finally decided to divert the plane to San Francisco. The woman was taken away by ambulance. The FBI interviewed the crew and nearby passengers. The flight then resumed with passengers arriving late this afternoon. KGMB9 spoke to the pilot who confronted the disruptive woman. "It's an ongoing investigation and so because of that I can't really comment, but the reports of her hitting me are not true," said pilot Eric Peterson. "Did you threaten to handcuff her?" KGMB9 asked. "I did, if she didn't calm down," he replied. An article in the Honolulu Star-Bulletin quoted Maj. Gerard Antoine, an Army physician at Tripler Army Medical Center in Hawaii, who also was a passenger on the flight. He told the newspaper reporter that he came forward when the pilot asked if a doctor was on board to assist with a medical emergency. He said the woman, about 24 years old, appeared to be having an anxiety attack. "She complained of shortness of breath and chest pains," he said, but said she was "not belligerent and very cooperative." Antoine calmed the woman and gave her oxygen. He said it was unlikely she was overdosing on drugs and did not learn what happened before or after his treatment of her. Maj. Antoine denied to the reporter that he had seen the agitated woman strike the pilot, as some other passengers had suggested. Other passengers interviewed for the Star-Bulletin article mentioned seeing the woman "taking a bunch of pills" while waiting in line for the lavatory. One said that flight attendants caught the woman smoking in the restroom and "told her how dangerous it was, and she went back and did it again," adding that the woman disarmed the lavatory smoke alarm. KGMB 9 reported that the woman was not arrested by the FBI, and that "they're looking into whether she had a medical condition." A Continental Airlines flight en route from Oslo, Norway to Newark diverted to Goose Bay, Labrador this past Monday after an inebriated passenger became belligerent. The Royal Canadian Mounted Police (RCMP) met the aircraft when it landed at Happy Valley-Goose Bay Airport and physically removed the man from the plane. The flight then continued on to its destination. The passenger, identified by news media as 47 year old Paul Burns, from Florida, was taken to jail after being removed from the plane. A report about the incident on CBC News said that the RCMP officers had "some difficulty taking the man off the flight." A witness said that the man was swearing as he was taken from the plane and was trying to break away from officers. A provincial court in Happy Valley-Goose Bay was told that Burns had not consumed alcohol for years, but began drinking vodka before he boarded the flight in Oslo. He continue to drink vodka on the plane, court heard. After he was cut off, court was told, Burns assaulted the passenger next to him as well as another person who was waiting for the bathroom. Six passengers assisted flight attendants as they finally handcuffed Burns to his seat. Court was told that Burns continued to be belligerent once the plane landed in Labrador, and tried to knock over RCMP officers as they dragged him from the plane. Burns was told that Continental Airlines may sue him for restitution. The airline estimated the forced landing cost more than $13,000. Mr. Burns appeared in court on Wednesday and pleaded guilty to endangering the safety and security of an aircraft in flight, in a breach of the Aeronautics Act. CBC News says that he was released after he arranged to pay a $12,000 fine imposed by the court. This past Friday, a United Airlines flight en route from Chicago to Portland diverted to Salt Lake City because of a "rowdy passenger." The passenger, a Florida man identified as Kenneth R. Bullard, had been arguing with another passenger who turned out to be his son. Bullard was arrested on arrival at SLC and charged with assault and interference with a flight crew. Bullard, who had been drinking alcohol before and during the flight, became "belligerent ... and engaged in a physical altercation causing the attendants to physically restrain him," FBI agent Martin Schwarz said in an affidavit to support the charges. The son was moved but Bullard attacked him again about 15 minutes later, Schwarz said. Finally, three other passengers helped flight attendants put Bullard back in his seat, the agent said. The pilot stopped the plane in Salt Lake City where officers removed Bullard and arrested him. Bullard told officers that he got into an argument about his son's girlfriend. He was released Monday after a brief appearance in federal court. The incident happened aboard United Flight 439, on March 16. A man who slapped two flight attendants aboard a US Airways flight has been charged with disorderly conduct and two counts of second degree assault. FBI charges against him are also being considered. The man was identified by the Arizona Republic as Bryan Leon Spann, 34, from Phoenix. A news report said that Spann became disorderly on US Airways Flight 81 from Phoenix to Thurgood Marshall Baltimore-Washington International Airport. He reportedly slapped a male and a female flight attendant before crew members restrained him with flexible handcuffs. Once the aircraft reached BWI, Spann was carried off the plane by police. He was held at Anne Arundel County Detention Center in Maryland on $15,000 bail. It was reported that the flight attendants declined emergency medical treatment. Alcohol is believed to have been a factor in the incident. Stories about disruptive passengers just keep coming. A man identified as Bert Niepel, a 51 year old German banker, had to be restrained after he lost his temper and threatened members of the crew of a Delta Airlines flight en route from Berlin to New York. 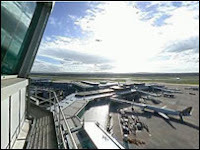 The aircraft diverted to Manchester, England, where the unruly passenger was arrested on arrival. Niepel had upgraded himself to a seat in the first class section of the flight from Berlin to New York and refused repeated requests for him to return to his seat in economy class. He eventually pushed an air stewardess backwards to the floor as she served drinks and had to be restrained in his seat by other passengers, including a German Army soldier. The Delta Airlines pilot was so concerned about the disturbance in the cabin he locked the cockpit door and diverted the plane to Manchester Airport. Mr. Niepel has since appeared before the Trafford Magistrates Court. He pleaded guilty to "behaving in a threatening, abusive, insulting or disorderly manner towards the crew." He was fined £1,000 and ordered to pay £70 costs. To read the whole Manchester Evening News account of what transpired, with further details of the incident reported from the court hearing, click here. Canadian newspapers and news websites are reporting that a British Airways B747-400 en route from Heathrow to Phoenix made an unscheduled landing in Winnipeg to deplane an unruly passenger. The man, identified as 38 year old David Gerard McAuliffe, wound up in jail at the Winnipeg Remand Center, where he was to remain until a court appearance. McAuliffe has been charged with mischief, causing a disturbance and failing to comply with instructions of a flight crew following the pilot's decision to bump him from the plane and into police custody after becoming difficult when he was refused alcohol. "The pilot wanted Winnipeg police to meet them because they had an unruly passenger," said Christine Alongi, spokeswoman for the Winnipeg Airports Authority. Other media reports mentioned that the man became disruptive after flight attendants refused to serve him alcohol. The aircraft stayed on the ground in Winnipeg for about two hours before resuming its flight to Phoenix -- with one less passenger. Eight men were arrested in the U.K. after what has been described as a 'drunken brawl' aboard an easyJet flight en route from Alicante to Newcastle. Northumbria Police said they were called to meet the EasyJet flight from Alicante, Spain, when it landed at Newcastle International Airport late on Sunday night. A police spokesman said the arrests followed reports of a "fracas" among a group of men on the Boeing 737. More than 100 passengers became alarmed by the disturbance, which broke out midway through the flight. It is alleged the men, all believed to be from the Wearside area, had been drinking heavily and were abusive before the flight left Alicante Airport at 9.20pm. EasyJet said none of the 139 passengers and five crew onboard the flight was injured during the disturbance. Inspector Jan Harrison said yesterday: "A group of eight men were involved in a brawl on board. They had been drinking and became more rowdy. I'm sure other passengers would have been alarmed by their behaviour. "Cabin crew alerted us and we boarded the plane when it landed. "The majority of the passengers were allowed off first and those suspected of taking part in the fight were kept on until they were arrested. A statement issued by easyJet about the incident says that the airline "has a zero tolerance policy towards any unreasonable behaviour and, as a result, eight passengers were removed from the flight by police for disruptive behaviour on landing at Newcastle." Fine, but what I want to know is this: If the passengers were indeed "drinking heavily and were abusive before the flight," why were they allowed aboard the aircraft in Alicante?